With the football season underway Tigers fans can come together to cheer on their favorite team on game day - but once the game is over where should fans go (Geaux? ), do or see? 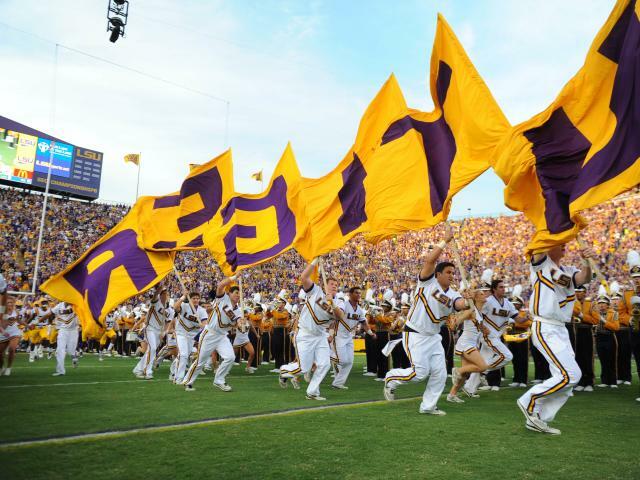 Here are the Top 5 Things to do in Baton Rouge on game day. 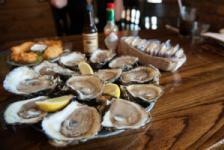 Baton Rouge is known for seafood - so when in Rome or, in this case Baton Rouge, you&apos;ll want to find a good spot for oysters, shrimp or crawfish dishes. Head to one of the many amazing seafood joints around town like The Chimes, Tony&apos;s Seafood or Parrain&apos;s to sample some of the local flavor. Other great local hot spots highly rated on TripAdvisor include Ruffino&apos;s, Louisiana Lagniappe or Sammy&apos;s Grill. The nice thing about Baton Rouge is that even during football season when a lot of other fans around the country are bundling up for games, LSU fans can enjoy balmy temperatures almost the entire season! Airboat tours are a great way to experience some of the swampy areas Louisiana is iconic for having. There are also a number of great golf courses if you&apos;re feeling the need to hit the links. For those looking to just take in the area and the nature after the excitement of the game, Bluebonnet Swamp or the Atchafalaya National Wildlife Refuge may be right up your alley. Inspired by the Tigers and looking to toss the pigskin around yourself? Check out one of the numerous parks around Baton Rouge. 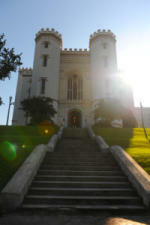 As the capital of the great state of Louisiana, Baton Rouge is full of amazing things to see in town. While the current Louisiana State Capitol building is certainly worth a stop, Louisiana&apos;s Old State Capitol is also is definitely a must-see. A number of interactive museums such as the Old Governor’s Mansion, Capitol Park Museum and the Louisiana Art and Science Museum are also great places to stop by for a taste of history or culture. If you&apos;re looking to try your luck while embracing a Southern tradition you should definitely check out one of the riverboat casinos in Baton Rouge! Of course, if you&apos;d rather stay on land the L&apos;Auberge Casino Baton Rouge are also available! Shoppers have some great opportunities all around Baton Rouge where they can find a variety of items worth picking up. Bella Bella is a great option for ladies looking for clothing, shoes and jewelry, while Tiger Mania is a must for LSU fans looking to add even more purple and gold to their wardrobe. For a more typical mall experience, the Mall of Louisiana may be what you&apos;re looking for while the Red Stick Farmers Market featured a variety of fresh produce and goods that will provide a local flavor! After a long day of cheering on the Tigers it may be time to sit down for a cool drink. For beer lovers, Southern Craft Brewing Co. and/or Tin Roof Brewing Co. may be the perfect spot to sit down and sample some local brews! Another great spot to hit up is Barcadia where you can enjoy life-size Jenga, 5&apos; tall Connect Four and a number of other great bar games while you hang out with friends. For those of you looking to dance the night away, Boudreaux and Thibodeaux&apos;s or 1913 should be on your list of places to go! 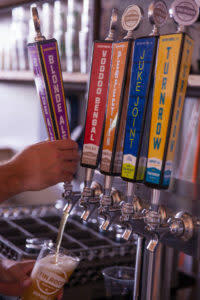 No matter what you do on game day in Baton Rouge, you&apos;re sure to have an experience that is distinctly Red Stick!